(Bloomberg) -- Almost three years on, Uber is still waiting to sell out in China. The landmark deal that sealed Uber Technologies Inc.’s retreat from China, in which it agreed to fold its business into local ride-hailing leader Didi Chuxing in exchange for a stake in the other company, was never approved by China’s State Administration for Market Regulation, according to the U.S. company’s initial public offering filing. “It is not clear how or when that proceeding will be resolved,” Uber said in its filing with the New York Stock Exchange, adding that an eventual ruling could alter the way it does business and lead to cost increases. If regulators nullify the deal, the roughly 20 percent stake Uber and its backers received in Didi could be voided. Didi declined to comment in an emailed statement. Uber didn’t immediately respond to a request for comment. 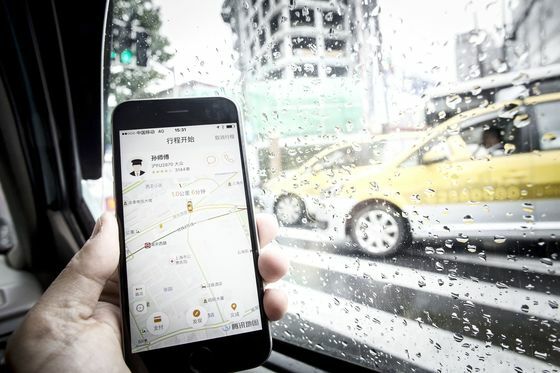 Chinese regulators initiated an antitrust investigation shortly after the announcement of the Uber-Didi deal, but there have been few developments on the case in the years since. Uber’s ongoing limbo highlights the uncertainty of doing business in China, where even prominent private entrepreneurs can find it difficult to navigate amorphous regulations. Uber and Didi’s merger was a culmination of more than a year of a take-no-prisoners war between the world’s two largest ride-hailing companies. Combined, the two spent at least $2 billion during that time to subsidize rides in their battle for market share. Other Chinese technology-industry mergers have passed without incident: Meituan and Dianping were able to combine in group buying and food, while Ganji.com and 58.com Inc. got together in the classified ads business. But regulators there have little precedent for refereeing deals like the Uber-Didi agreement. While both companies have operated in the country for years, ride-hailing services only received official legal status from the government relatively recently. The government’s ruling is likely to depend on how it defines Didi’s business. If the company is deemed just a small part of China’s transport system, antitrust concerns will likely be minimal. If the regulator defines the market more narrowly as ride-hailing, however, it would be much tougher to argue that Didi has any other real competitors left.